Moscow has changed in the past decade: shedding its drab Soviet past for a modern, urbanist vision. Though the second largest city in Europe is seldom considered a must-see destination, recent urban mega-projects and municipal works have transformed it into a welcoming and bright metropolis. But Moscow’s changes carry a darker undertone, highlighting the corruption and authoritarianism that define Russian governance at large. 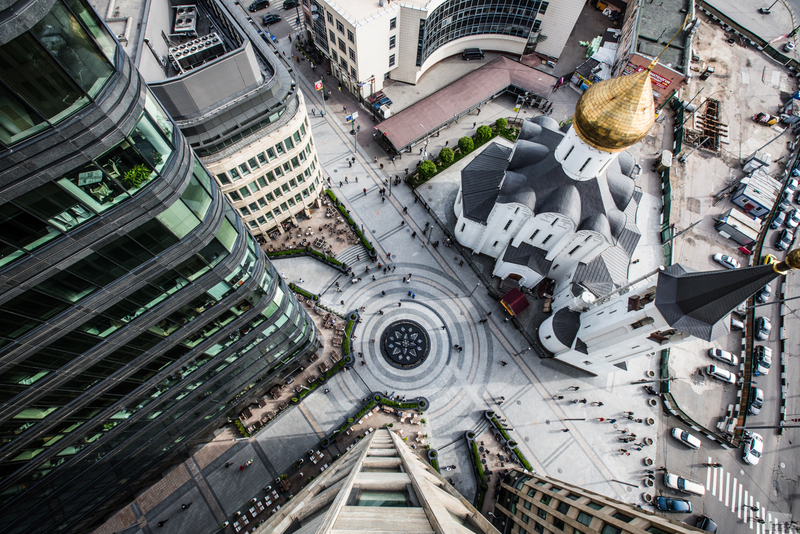 A far cry from the dingy and dangerous oligarch playground of the early aughts, Moscow has begun to embrace principles of urbanism to create impressively livable urban spaces. 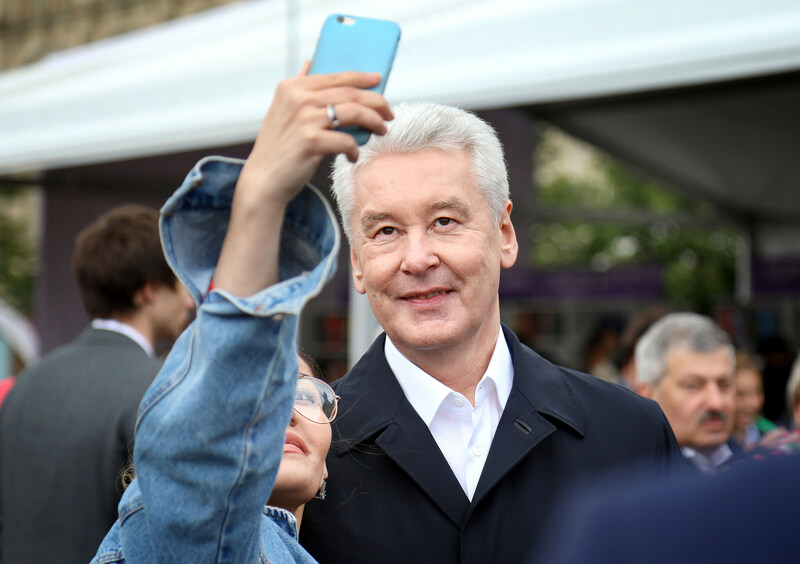 Heading the renovation is Sergei Sobyanin, Moscow’s mayor since 2010. His long-time fealty to Putin has paved the way for his current position, wielding a considerable amount of power in highly-centralized Russia. Though he’s endured a fair share of controversy in his decade-long rule, his relatively restrained and technocratic politics have been a welcome contrast to his unpopular predecessor, Yuri Luzhkov. Sobyanin’s big plans for Moscow touch upon every aspect of city life. Perhaps his best known project entails demolishing thousands of old Soviet-era apartment buildings (10% of Moscow’s housing), to be replaced with modern high-rises. The old buildings are increasingly an eyesore, and unpleasant to live in due to their tiny size, rickety construction, and poorly-maintained common spaces. Many were built under Khrushchev in the 1960s as a cheap, but temporary solution to the postwar housing crisis facing the USSR. The modernization and resettlement initiative aims to address the growing and inevitable problems caused by the aging “khrushchevki”. Moscow has also decided to take its notorious traffic problems seriously. Aside from creating some of the longest commutes in Europe, the city’s ballooning car population left an ever-present stink of diesel downtown. Sobyanin pushed through unpopular but necessary initiatives, such as eliminating free on-street parking in the metropolis. For the first time, speed cameras restrain the worst impulses of impatient Muscovites. He embarked on an ambitious expansion of the Moscow Metro, an irreplaceable network that keeps the city moving without cars. The newly-built Moscow Central Circle, an shiny light rail line, compliments the Metro to increase suburban accessibility. Gorgeous new trains zip up and down dozens of new stations built ahead of schedule, restoring dignity to public transit users and decreasing the appeal of the private automobile. Soviet industrial behemoths that used to sit abandoned within city limits, like the ZiL factory, are being turned into hip co-working spaces and bohemian lofts. Massive public works have also been a focal point of Sobyanin’s mayorship. He transformed an unused tract of land near the Kremlin into Zaryadye Park, an ambitious urban oasis constructed by an international consortium of architects. The absence of unscrupulous mystery meat vendors, formerly a key fixture of the capital’s greenspaces, is notable. 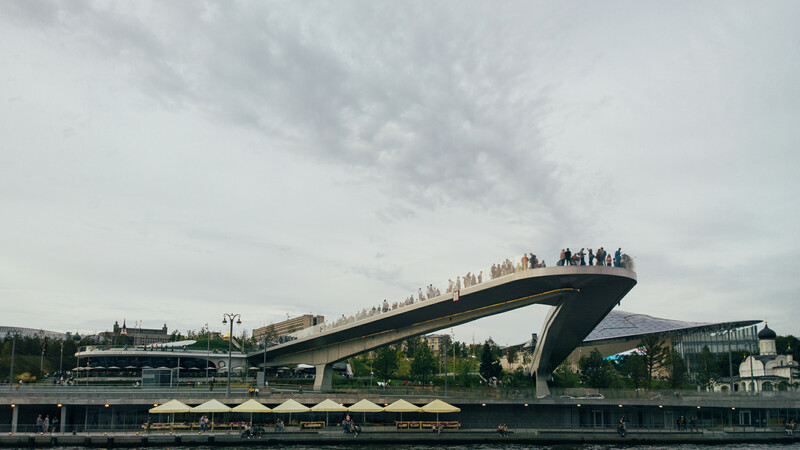 A soaring glass bridge anchors the park and makes one forget they’re in Russia – until you turn your head and admire the view of St. Basil’s Cathedral. Sobyanin has also poured money into renovating Moscow’s imposing streets. The aptly-named “My Street” project encompasses a variety of upgrades: for instance, paved sidewalks are to be replaced with decorative tiling, and road spaces are increasingly pedestrianized to enhance walkability. 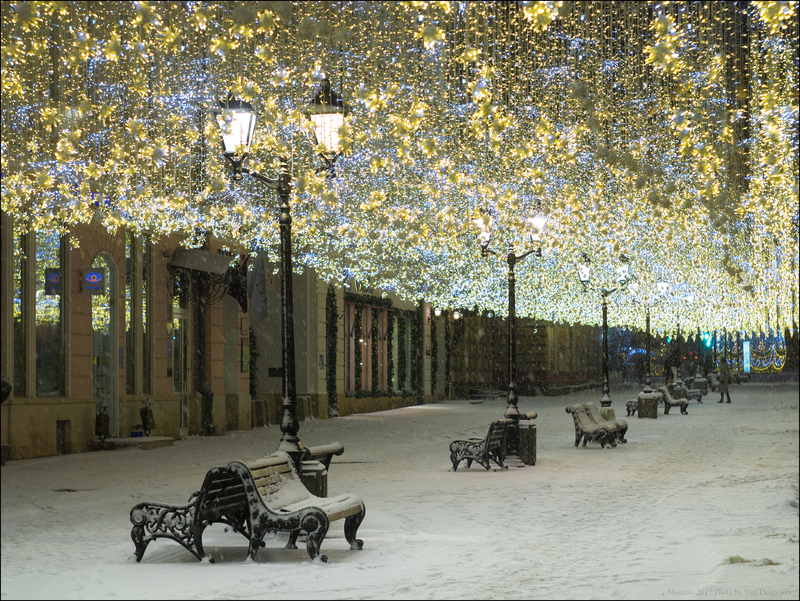 This holiday season, the city was decked out in stunning Christmas lights spanning Moscow’s pedestrian streets. But Sobyanin’s reforms don’t come without a dangerous downside. 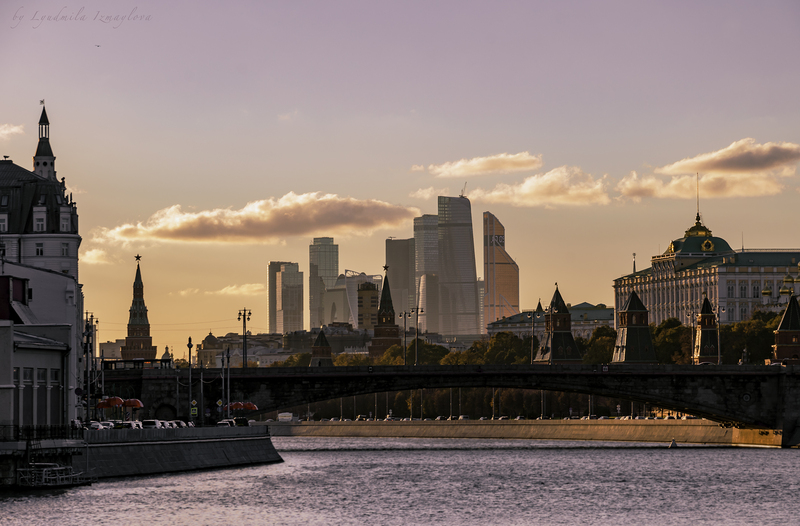 Corruption is endemic in Russia, and Moscow’s urbanist dreams are no exception. Opposition activist Alexei Navalny, who challenged Sobyanin in 2013 in the Moscow mayoral election, has revealed extensive graft and embezzlement in each of Sobyanin’s projects. In an especially brazen episode of theft, the mayor took a number of rare trees destined to line Tverskaya Street in central Moscow and instead planted them at his private residence. Others question the rationale behind the expensive re-paving of the city’s streets, instead suggesting that the project was undertaken to award the lucrative projects to Sobyanin’s allies. Local urbanists have similarly expressed concerns. Ilya Varlamov, a popular Russian vlogger who often uses his background in architecture to provide commentary on urban planning in Russia, has been critical of Sobyanin’s reforms. In particular, he has been outspoken in opposing the government’s largesse in upgrading urban spaces in preparations for the 2018 FIFA World Cup. Despite some of the most expensive stadiums in human history, construction has been shockingly shoddy. A leaky roof in St. Petersburg’s spaceship-like Zenit Arena was quickly blamed by city officials on pesky cormorant birds. Perhaps a more compelling explanation is endemic corruption – multiple criminal cases are underway, as the stadium’s price tag is $600 million over budget. Moreover, not all of these reforms are proving to be broadly popular, highlighting a historic lack of stakeholder consultation in Russia and the former Soviet Union. Many Russians distrust the government’s intentions and are skeptical of Sobyanin’s urban improvement projects. The apartment renovation program is particularly illustrative. Residents are hesitant to give up their cramped but familiar flats close to downtown, fearing that they will be resettled into subpar housing by unscrupulous developers looking to make a quick rouble. Though they can choose a lump-sum cash payment in lieu of resettlement, citizens don’t expect to be offered a fair price, and can’t expect a fair resolution in court given Russia’s deeply-corrupt judiciary. Understanding the potential for broad backlash, city officials tried to democratize this process. They allowed residents of each building to vote on an online blockchain platform to opt-in or opt-out of the program. A two-thirds majority voting to participate in the program would see their apartment building razed and replaced with modern housing, while they would be granted a new apartment elsewhere. If a supermajority couldn’t be reached, the building would remain untouched. In practice, things turned sour fast. Navalny and other local activists quickly exposed vote manipulation, fraud, and outright falsification of voting results across a range of buildings. What started as an effort to remedy low trust between citizens and officials was discredited and only served to worsen public opinion. Similarly, Moscow’s impressive renovations raise important issues of equity within the Russian state. The city receives a third of the total municipal spending in Russia, though its population comprises only one-tenth of the country. This fiscal injustice has bolstered long-standing feelings of aggrievement by those in the periphery, angered by Moscow’s disproportionate wealth. Moscow’s infrastructure and services remain relatively excellent compared to other Russian cities, who would need the money more desperately than the capital. Tellingly, the ambitious apartment renovation project only applies to Moscow, even though every Russian municipality faces growing challenges arising from aging khrushchevka buildings. What explains Moscow’s skyrocketing budget? Authoritarian politics might give us a clue. Moscow (and to a lesser extent, St. Petersburg), has been a hotbed for anti-regime turmoil and contentious politics. Tens of thousands of Muscovites took to the streets to oppose the election of Putin; first in 2012, and then again in 2018. Outside of the two major cities, opposition sentiment is significantly less strong – if any protests do occur, they’re limited to local grievances and seldom attract more than a few dozen participants. Strongman rulers typically apply a mixture of carrots (incentives) and sticks (coercion) to exert control. Thus, by placating the more liberal and protest-prone Muscovites, the regime can effectively neutralize a major threat to its long-term power. Indeed, it’s harder to feel angry at the regime in meticulously manicured greenspaces than it is in a grueling traffic jam. Moscow’s urban revolution shouldn’t be seen in starkly negative or starkly positive terms – as always, the nuance is in the middle. Widespread corruption severely hamstrings the potential of the gobs of cash thrown at the capital; without kickbacks and embezzlement, those funds could be used much more efficiently. Similarly, quality-of-life improvements are more desperately needed in the withering hinterland. And insofar as urbanism serves to bolster Putin’s kleptocracy, the lives of Muscovites are only improved at the margins. But at the same time, pleasant urban spaces are increasingly instrumental as more and more people become city-dwellers – a trend that shows no signs of stopping. For the first time, Moscow is abandoning tenets of Soviet-era planning doctrine that made so many Russian cities drab and gloomy. And ultimately, it’s unclear where the money would go in the absence of the urbanist spending boom. Russian officials are masterful appropriators of funds for personal benefit; arguably, a corrupt public works project is better than no public works project at all. So while we shouldn’t be uncritical of Sobyanin’s reign, it’s hard to argue that Moscow hasn’t become a much more liveable and hospitable city under his urbanist fist.